Twice a year the Fashion Group International organization holds a Trend Report event in their regions around the globe that provides a terrific overview of what designers presented during the Fashion Weeks in New York, London, Milan, and Paris. Last night, I had the pleasure of attending the Fall 2014 Trend Report soirée in the Arizona region at the Phoenix Art Museum. Bonus — in addition to the Trend Report, we were also treated to a special viewing of the Hollywood Costume Exhibit, currently underway at the museum. 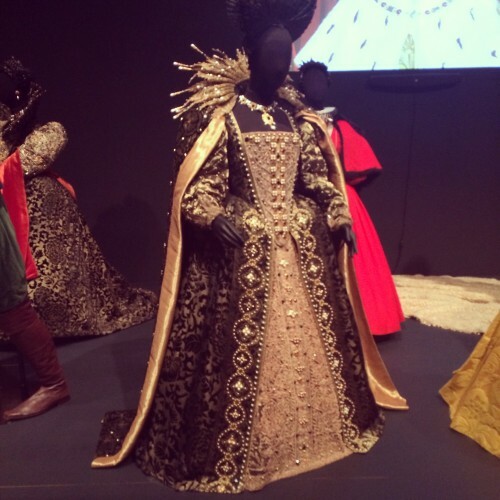 If you live in the area or plan to visit before July 6th, I highly recommend checking it out, as the exhibit not only features iconic costumes, but is truly a multimedia experience. From Darth Vader’s costume and the stunning Queen Elizabeth gown from The Golden Age, to Dorothy’s outfit in The Wizard of Oz and Marilyn Monroe’s The Seven-Year Itch dress, the exhibit provides a snapshot of Hollywood history. What did I wear to this über-fashionable event, you ask? 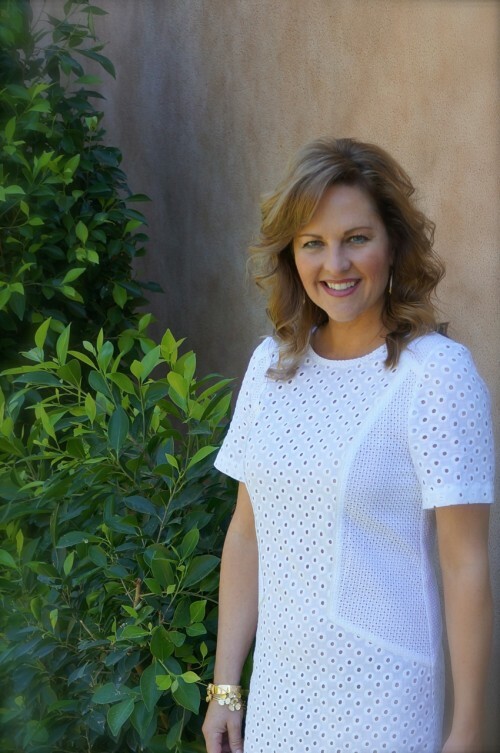 A white eyelet dress with pops of color — my new spring “go-to” that will transition from dressy to casual with ease by switching my shoes to flats or sandals… LOVE.